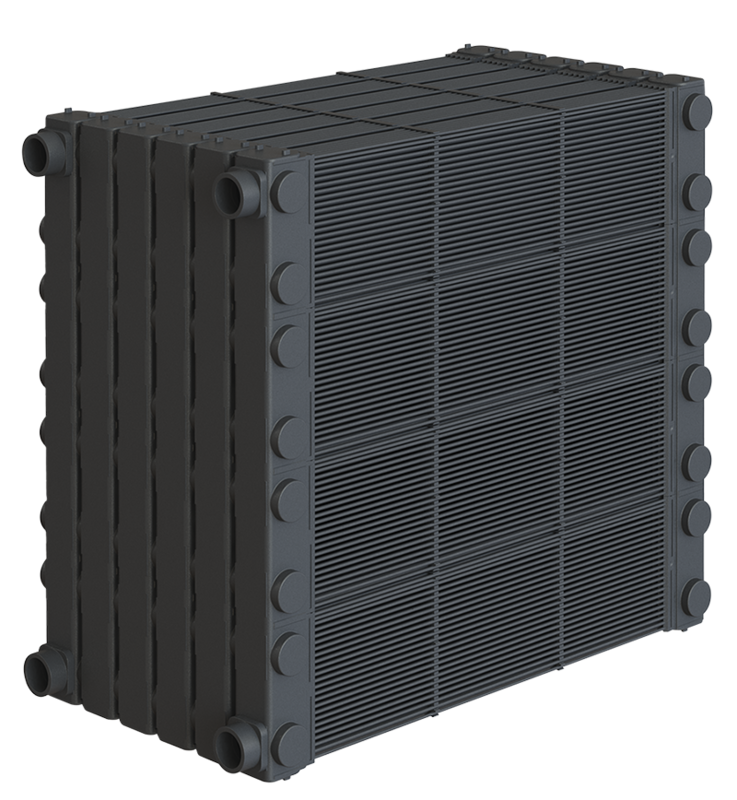 Plastic heat exchangers have always been the most consistent solution for heat transfer in the environment of very aggressive media. 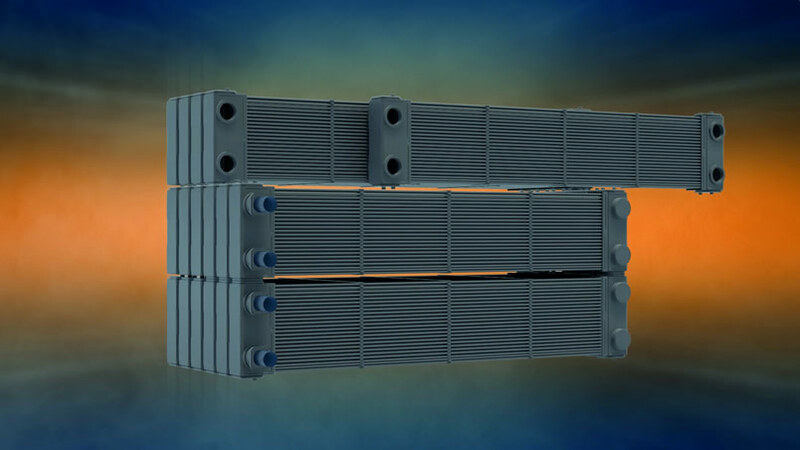 Through consistent development and state-of-the-art technologies, we succeeded to design the Evolution series plastic heat exchanger so compact and powerful that it can now exploit its advantages in all areas of application where quality is important. 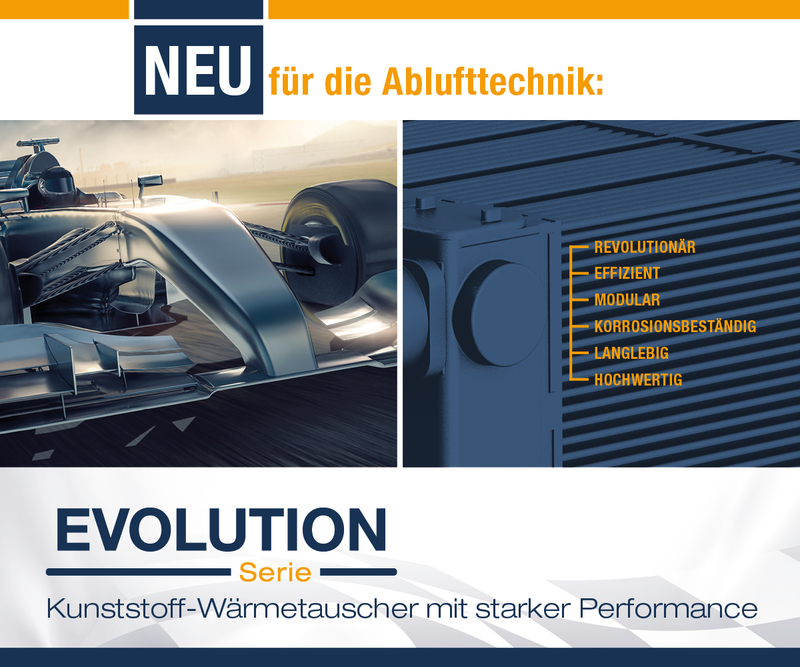 With the worldwide unique Evolution technology, we meet the latest European standards for the energy efficiency of HVAC equipment. 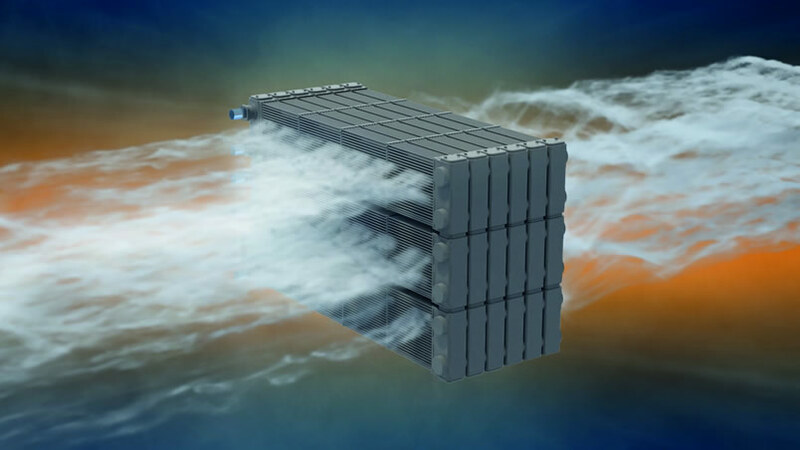 This guarantees a quick amortization of your investment in the cooling or heating of air and gases as well as in the heat recovery in recirculation systems. 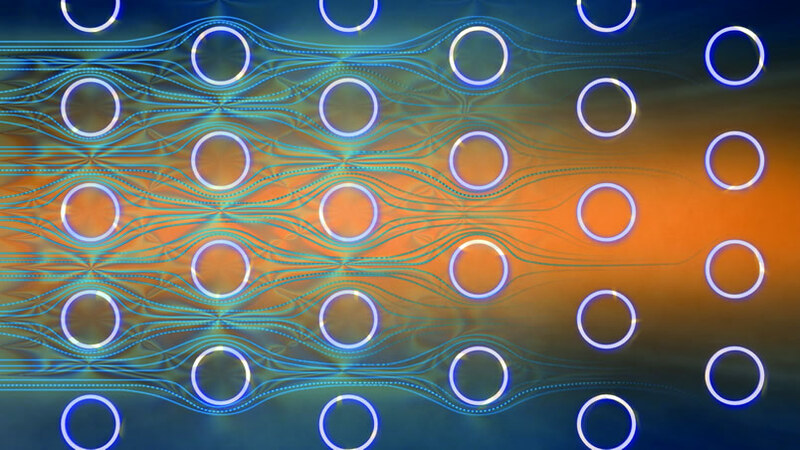 With the all-plastic design of flexible and smooth tubes in the optimized grid, it does not require any sensitive coatings, thus ensuring maximum reliability against corrosion and soiling over the long term. – „Made in Germany“ , Integration into existing housings and devices is also possible.